Seventy-five miles west of Denver, Copper Mountain Resort caters to groups of every size and purpose in three villages—East, West, and Center. Complimentary shuttle service ensures easy access to all three villages, which together offer more than 500 accommodations—hotel rooms, studios, and condos with up to three bedrooms. They also offer 22 restaurants, eight bars and clubs, 23 shops, and the Copper Mountain Racquet and Athletic Club. 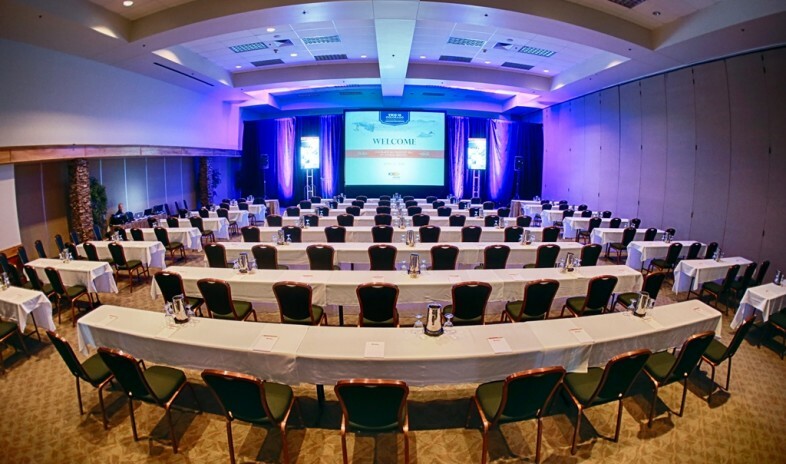 Groups gather in a 3,500-square-foot executive conference center, 18,749- and 15,568-square-foot conference centers, a multipurpose 18,000-square-foot clear-span structure, and a 6,900-square-foot meeting and banquet hall. Skiing rules delegates' free time in winter thanks to 22 ski lifts and 2,400 acres of trails; golf rules the summer along with thrills on a zip line, lake activities, and simple communion with nature in the Colorado Rockies.